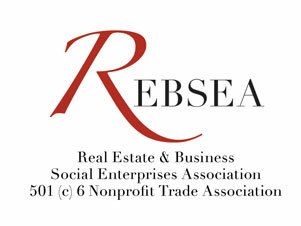 Donna Hohman is a REBSEA Founder Donna Hohman concerned about Mental Illness. THE SHINE INITIATIVE is the chartity Donna is passionate about and it's what brings meaning to what she does as a Real Estate Professional. It began as a conversation in a corporate setting and has evolved into a public conversation about mental illness. One day in 2003 the directors and employees of Fidelity Bank in North Central Massachusetts pondered the question “how can we make a positive impact on a social issue that lacks popular attention and support?” What emerged was a commitment to improving the mental health of the community. And thus, in the spring of 2004, the SHINE Initiative was officially launched to “shine a light on mental illness.” Soon after, an Advisory Board comprised of leaders in the field of healthcare services, along with family advocates and corporate and community leaders, was established to help guide the SHINE Initiative. In recent years the SHINE Initiative has honed its focus on the mental health of children and young adults. Why? Quite simply, because we know that half of lifetime cases of mental illness begin by age 14. We also believe that through education and information-sharing we can have a lifelong and positive impact on the mental health and total wellness of our communities. We are proud to note that in recent years several school systems and institutions of higher learning have partnered with us to raise awareness of mental illness and to help diffuse and debunk some of the misconceptions and myths that have fueled stigma for generations. · Presentations to students at St. Bernard High School, Holy Name High School, Ayer-Shirley High School, Montachusett Regional Vocational Technical High School (January 2013 to present). As we celebrate our milestone 10th anniversary in 2014 we look forward to engaging with more young people, their families and caregivers throughout our community. And we invite everyone to “Join the Conversation” about mental illness. If you would like to share your comments with us, please email us at prichard@shineinitiative.org, or go to our Facebook page at www.shineinitiative.org.